Ernest Legge is the son of Ernest Legge Sr. and the President of Ridge Paving. Ernest is a native of the area - after growing up in Greenwich, CT and raised his own family in Dutchess County, NY. Ernest grew up around the business and learned the ins-and-outs of the paving industry from his father. Ernest Sr. put his son to work from a very young age, teaching him how to work the heavy equipment and create a work culture around hard work and outstanding service. During the week you can find Ernest on job sites talking face-to-face with clients and making sure quality exceeds expectations. He enjoys the unique look and feel that comes with every job - especially the oil & stone projects. After nearly 5 decades of paving and excavating in Westchester and Fairfield, Ernest still loves to see each finished product and has tremendous pride in his work. 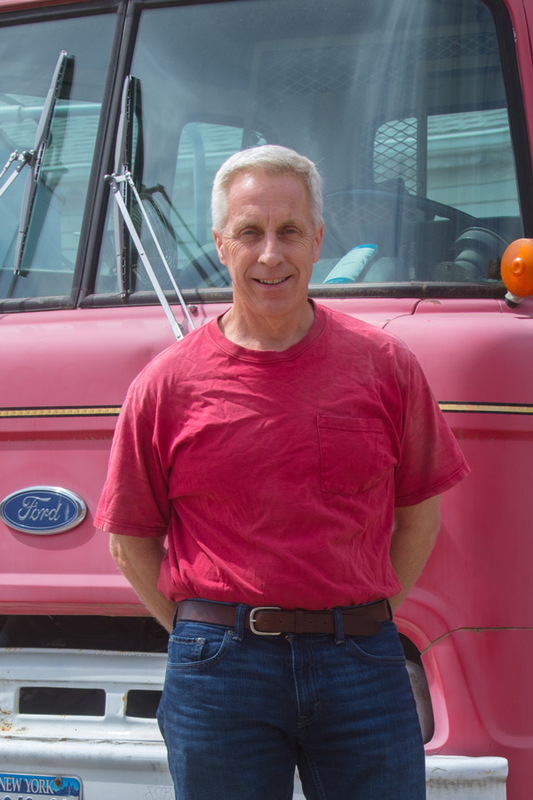 In his spare time, Ernest enjoys spending time with his family and especially taking them on trips to Vermont to ride snowmobiles, four-wheelers and dirtbikes. 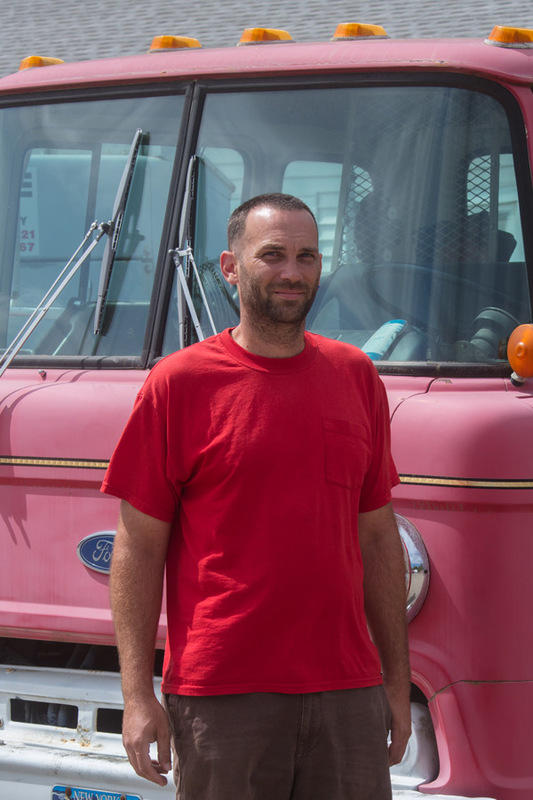 Brian Legge is the grandson of Ernest Legge Sr. and a Job Foreman & Estimator at Ridge Paving. Just like his father before him, Brian grew up around the business and has fond memories of three generations of Legges working together in his early days. 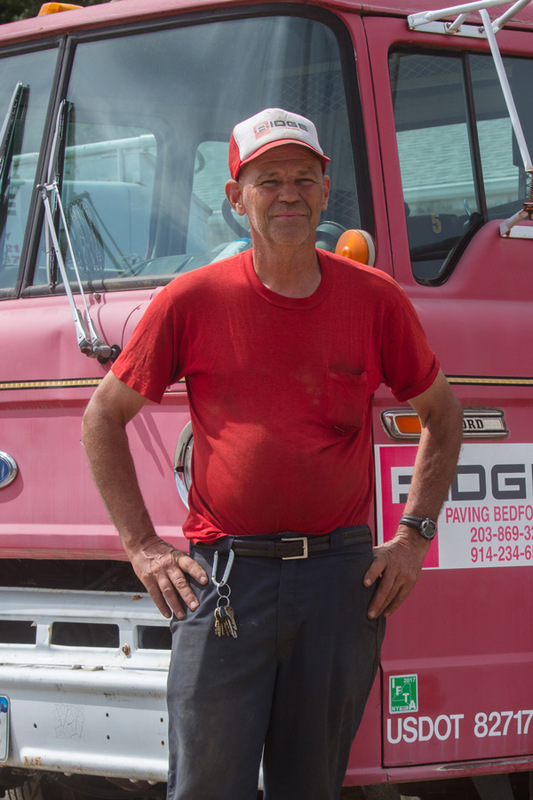 As part of Ridge Paving for more than 25 years, Brian has gained a ton of experience with all aspects of oil and stone paving, asphalt paving, and excavation. As a Foreman and Estimator, Brian is often the first person to communicate with a client - measuring driveways and providing project estimates. He‘s also a client’s main point of contact while the job is in progress, ensuring an open line of communication with the Legge’s on every project. Brian’s favorite part of the process is grading because the equipment requires great technical skill to master. He enjoys the challenge and the finds it rewarding when clients comment on his ability to operate massive equipment with such precision. When he’s not paving or excavating, Brian also enjoys trips to Vermont to hike and fish with his family. Brian Kelly is a close family friend of the Legges and an Estimator at Ridge Paving. Growing up with Ernest Jr., Brian also spent plenty of time around the business and has fond memories of watching Ernest Sr. run the business as a kid. Brian has also been with the Ridge Paving team for over 25 years and his experience makes him an expert when it comes to diagnosing potential driveway issues before they become costly problems. Brian’s favorite part of the job is getting to interact with new people all the time. As an estimator, he gets to visit potential job sites, meet new clients and prepare project estimates. Outside of work, Brian enjoys spending time with his family, playing softball and is a regular attendee at his church.